It is not like that, you will need to the help of other tools for a simple job like deleting contacts from your iPhone. But, it is by default, the iPhone will only let you delete one contact at a time. It is very time consuming and boring. Even the most introvert person in the world would have more than a hundred saved number on their iPhones. It will take a significantly long time to erase a few of them. You can go for the over the top option to delete all of them via iCloud but that will be unnecessary. But there is an easier way, you will be able to delete multiple contacts, just like that. It's okay if you don't know how to delete contacts on iPhone, just read the rest of the article below. If you want to delete contact and looking for a way to delete all of them at once or at least more than one at a time then, you need to use a professional Data Management tool. The data management tool is very useful, they are used for various purposes. Our recommendation is to use Tenroshare iCareFone. It has several capabilities but it is also a stunning data management tool. Step 1 Download and install Tenorshare iCareFone on your computer and then connect the iPhone to it. Step 2 Launch the program, it will detect the iPhone automatically if you have to tap on "Trust this Computer". Then, click on "Manage" tab from the main interface. Step 3 In the next panel 8 types of files will be listed and you can do 3 things with them; import, export and delete. Step 4 As your goal here is to delete Contacts, just click on "Contacts" on the left side of the panel and hit the "Delete" option. Here, you can choose to delete all the Contacts from your device or simply choose a few of the unnecessary ones from the right side of the panel. But as soon as you click on "Yes" they will be deleted instantly. If you are wonder whether the deleted contacts will be recovered or not. Here' you have to use a professional recovery tool to restore those contacts. Tenorshare UltData for iOS will be an excellent choice for this job. It is fast, efficient and very reliable for the retrieval of deleted Contacts. Step 1 Install the program on your computer and then connect the iPhone to it. Step 2 Launch UltData and select the default mode from the main menu, which is "Recover from iOS Device". 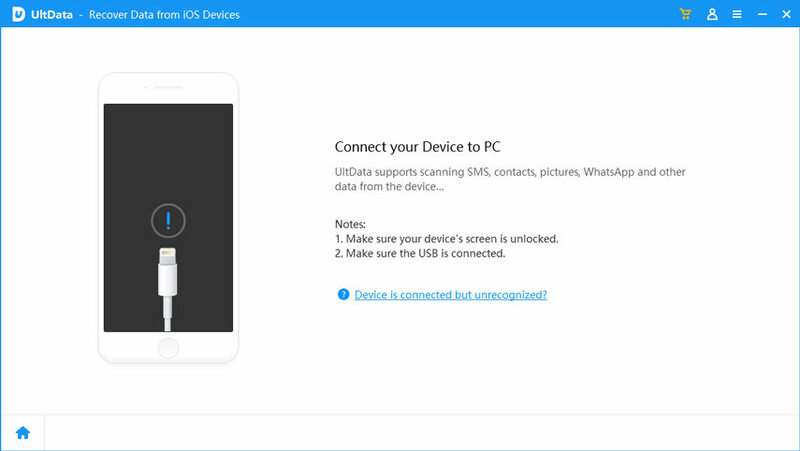 If the iOS device is connected and trusted then the program will automatically detect it. Step 3 In the next window you will be able to scan and recover any file you want. So, select "Contacts" from the list and click "Start Scan". Step 4 The scanned files will be listed categorically for your convenience and you will be able to selectively recover the file you need. Step 5 Now, just click "Recover" after you have done selecting them. As you are restoring the Contacts, you will have the opportunity to restore them directly to your iPhone. You have to go to the Output Setting and select the option, you can also change the format from here. 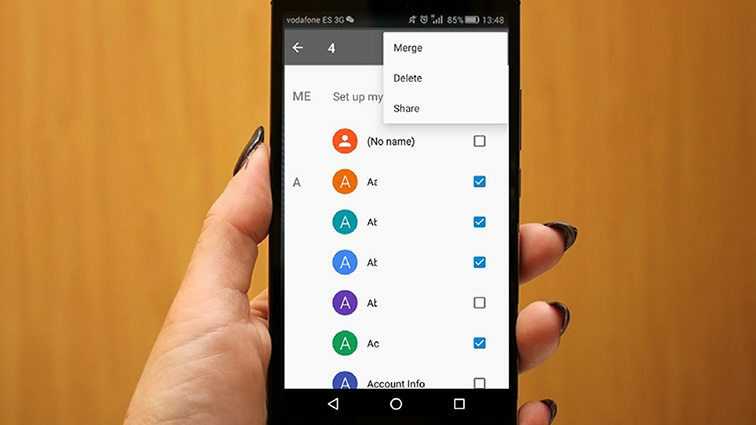 This is the most efficient way to recover recently deleted Contacts on your iPhone, but you are suing Tenorshare UltData after all and it is far more capable than the other recovery tools. 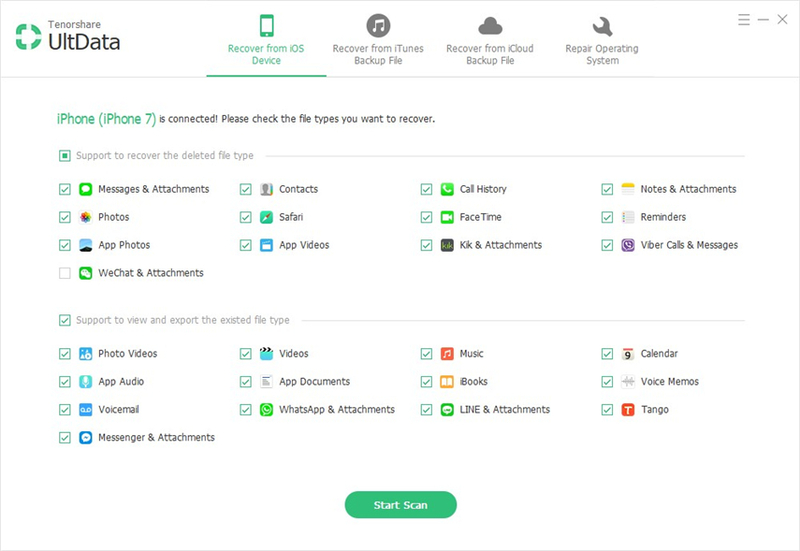 You can not only retrieve the recently deleted files with this but also any files you have deleted so far from the device. Quite surely, it is not very efficient to delete only Contacts at a time. There should be a more efficient way to do it at this point in time, but still, Apple forgot to make the changes. Due to that, users are getting frustrated with these old school and barely passable features. So, unless Apple makes some changes in the near future, you would be better off using Tenorshare iCareFone to delete multiple contacts in an instant.